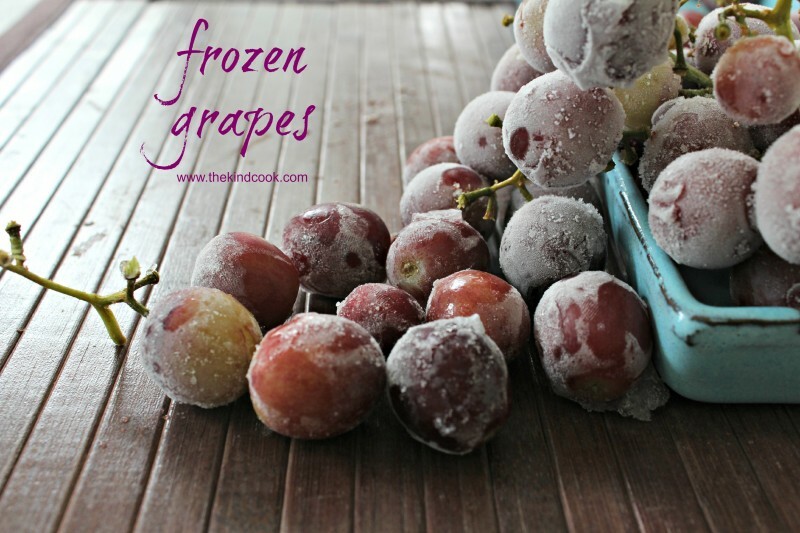 Frozen grapes are the perfect treats for a hot day . They are such a fun and gorgeous snack or healthy dessert option for kids and adults alike. It doesn’t get much easier than this. Wash the grapes to remove any gritty bits and pop them in the freezer until they are solid.